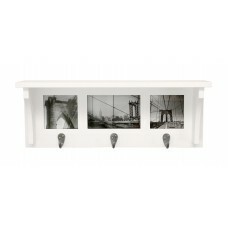 This coat rack shelf features 3 metal hooks, picture collage frame and 1 integrated display shelf. 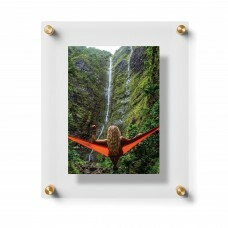 I..
FeaturesSmall4" x 6"Medium5" x 7"Large8" x 10"Picture Capacity1Mount TypeHangingFrame TypeGallery Wa.. 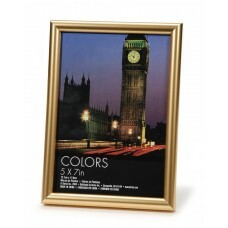 Display your favorite photo in style with this versatile picture frame, a clean-lined and understate.. 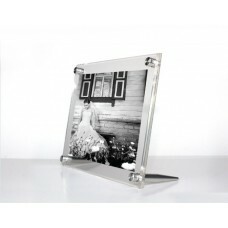 This picture frame has stunning, diamond polished bevel edge acrylic frame. Stands vertically or hor.. 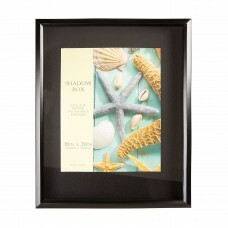 Display your most memorable keepsakes inside this shadow box. 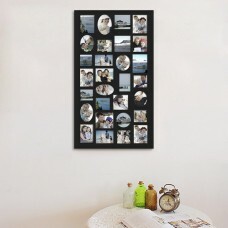 Designed with smooth edges, the spacio..
You have so many fond memories shouldn't your walls showcase as many as possible? 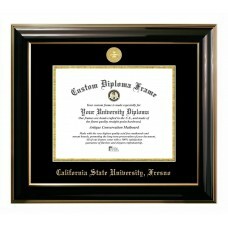 This frame lets yo.. 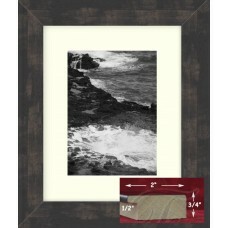 This tabletop picture frame is great for a desk, mantel or shelf.FeaturesPicture Size5" x 7"Picture .. 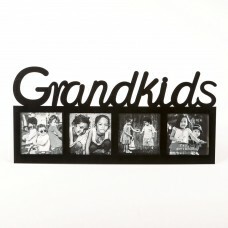 This bold stand out frame can be personalized with four unique pictures of the grandkids that grandp..
A classic favored by graduates and professionals alike, this Classic Picture Frame has a medallion e.. 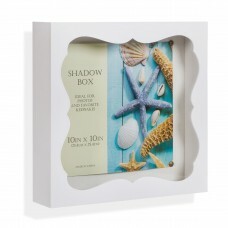 Display your most memorable keepsakes inside this square-shaped shadow box featuring scallop edge fr.. Float your artwork and posters off the wall while fully enclosing your art in between two panels of .. 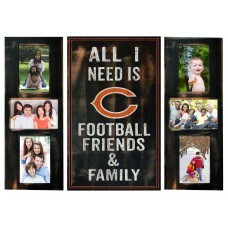 Represent your favorite team, show your best 6 memories, and show off your football, friends and fam..